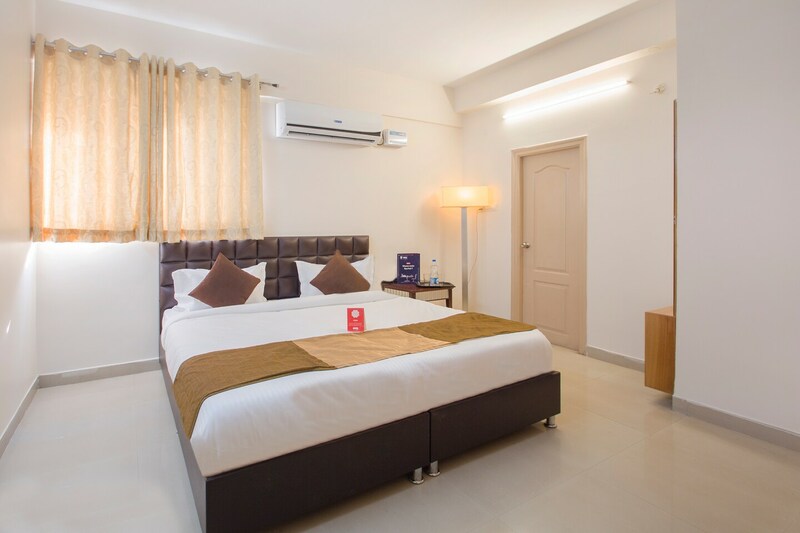 Offering comfort and great services at budget rates, OYO 10594 Hotel Marie Gold in Hyderabad is an ideal lodging for travelers touring the city. Maintained by a skilled and friendly staff, the OYO ensures you have a good stay. Explore Hyderabad and visit the famous landmarks and attractions such as Mix Bar, Golconda Fort and Jamia Masjid among others. Karnataka Bank Ltd., Kotak Mahindra Bank and Axis Bank ATM close to the hotel ensures you are never short on cash.